Are you a chemist and you didn’t know it? When I tell people that I’m a chemist, I often get an “oooh, I was really bad at that at school” type response. It’s surprising the number of people that think chemistry has nothing whatsoever to do with their daily lives. Memorably, one acquaintance of an acquaintance (I wouldn’t go so far as to say friend of a friend) once even proclaimed, quite proudly, that the whole of science had nothing to do with her, and she lived her life entirely without it. I was so gobsmacked I didn’t really know where to start, and trust me, that doesn’t happen often. So with that in mind, here are five bits of chemistry you do every day. Or at least regularly. You’re a chemist and you didn’t know it! Well, we all hope you do this one every day anyway. Soap is very clever stuff. It’s one of the oldest bits of chemistry there is, going back thousands of years, when people first discovered that if they washed their pots with the ashes of cooking fires they got a better result. Soap is made by a process called saponification, where fats are mixed with strong alkalis (traditionally lye: sodium or potassium hydroxide). The fats break apart and form fatty acid salts. What’s clever about those, is that they have a water-loving end (the salt bit) and a water-hating end (the fatty acid bit). So they can grab onto both, and hold the water and oil together. That’s what you do every time you use soap: the dirt ingrained in oil on your skin (nice) can, with the help of those lovely soap molecules, mix with water and so be washed away. Brilliant! 2. Drink a pH indicator. Ever lit a match? Or a lighter? Started your gas cooker? Turned on your gas boiler? Started your petrol or diesel car? Of course you have. Every single time you do any of those things, the carbon atoms in their molecules are reacting with oxygen to produce carbon dioxide and water. And even if you live under a damp and fireless rock, you’re still doing it – respiration, the process by which all your cells obtain energy – is a form of combustion. 4. Watch some ice float. We take that for granted, but it’s amazing really. This is a brilliant bit of chemistry that has its tendrils in physics and biology too. Solids don’t generally float on their liquids. Solids are usually more dense than their liquid form, so they sink. But if water behaved like that we wouldn’t have life on this planet, because every time any body of water got really cold it would freeze from the bottom up, taking out all the life swimming in its depths in the process. Since we’re fairly sure that life began in the oceans, evolution would have come to a full stop. But water doesn’t behave like that; water expands when it freezes. Why? Because water has something called hydrogen bonds between its molecules, and as it solidifies these bonds increasingly force the crystalline structure to be very ‘open’. As a result, ice is actually less dense than water, so it floats. This is also why ice is so brilliant at cooling liquids; the warm stuff rises, hits the cold ice and sinks again, creating a sort of cycle called a convection current. Who knew there was so much sciency stuff in your spritzer? The carbon dioxide, CO2, is a gas and it pushes your mixture up and out, causing it to rise. No baking soda chemistry, no lovely, fluffy cake. So, next time someone tells you they’re rubbish at chemistry, you can point out that they’re doing it every day! Chemical paranoia: are they really going to get you? There are many warnings about nasty chemicals on the internet. “Ooh, chemicals are really BAD for you! !” type these paranoid types, on their computer made largely of polymers, with a screen containing liquid crystals, running on a lithium ion battery. “We’re being POISONED by all this stuff They’re putting into our food and water!! !” They cry, whilst drinking coffee that (naturally) contains caffeine, chlorogenic acids and umpteen other chemicals, having earlier swallowed some diphenhydramine for their many allergies and popping paracetamol pills for their terrible stress headache caused by all those capital letters and exclamation marks. Of course in writing this I fear I’m preaching to the converted, since people that forward on emails warning of the risk of deadly poisoning from re-using plastic drinking water bottles and the like never seem to be the sort of people to actually check their facts by, say, taking three seconds to type anything at all into a well-known search engine. And I therefore suspect they wouldn’t be reading this blog, it being dangerously factual and all. But for the sake of thoroughness, chemicals are all around us. The dictionary definition is “something with a distinct chemical composition that is produced by, or used in, a chemical process”. Most things are used in a chemical process somewhere, including such mundanities as water, oxygen and nitrogen. The only way anyone could avoid chemicals all together would be to lock themselves into a hermetically sealed chamber and pump all the air out. And that’s far from being a route to a long and healthy life. Ah yes. Lovely, naturally-occurring chemicals. Like nicotine (the deadly nerve poison found in tobacco), lily of the valley (contains a high enough concentration of cardiac glycosides that even the water the flowers are placed in could be dangerously toxic), carbon monoxide (deadly by-product of the incomplete combustion of any carbon-based fuel, including all the ones you might be using in your house, such as wood, or coal, or gas) and botulinum toxin (the most acutely toxic substance known, naturally produced by the bacterium clostridium botulinum). In fact, sometimes the synthetically produced is safer: for example salicylic acid (naturally-occurring in willow tree bark), while not particularly deadly is certainly a lot less friendly to the human digestive system than its chemically-modified cousin acetylsalicylic acid, otherwise known as aspirin. And then there are food additives. They’re bad for you, right? They cause cancer, irritable bowl syndrome, hyperactivity, asthma, headaches, obesity, bad skin, bloating, unmanageable hair, purple rashes, gymphobia and notlikeingmondayitis, amongst other things. All of them*. You should definitely always buy foods that don’t have additives in. Everyone knows that. Actually, no. In fact a lot of food additives keep us safe. Remember that botulinum toxin I mentioned up there? The most acutely toxic substance known? The bacterium that produces it grows in meat products. In fact, the German medical writer Justinus Kerner called it a “sausage poison” for that very reason. Why don’t people die from botulism more often? Because sodium nitrite (E250) is regularly added to meat products, and it does a great job of preventing clostridium botulinum from growing. It’s true that nitrites aren’t entirely controversy-free (in particular they’ve been linked to bowel cancer) but, and it’s a big but, the risk from botulism is much, much bigger than the small, theoretical, increase in your chances of developing cancer. Eating a botulism-laden sausage will kill you. Quickly. If you’re going to eat sausages at all, E250 is a good thing. Many, many food additives are from entirely natural sources. Take the emulsifier lecithin (E322). It’s usually extracted from eggs or soy beans. Entirely homemade mayonnaise makes use of this chemical (whether knowingly or not) to keep the fat and water in the recipe from separating into layers. Ascorbic acid (E300) is used as an acidity-regulator and anti-oxidant, and its other name is good old vitamin C. Beeswax (E901) is routinely used as a glazing agent, espeically on apples, and there are a whole raft of colourings that are totally natural in origin, including caramel (E150a), Riboflavin (vitamin B2, E101) and beetroot red (E162). And by the way, those scary E numbers? The E just means they’re substances which have been approved for use within the European Union. In other words, they’ve been tested and shown to be safe. You could argue that those E’s are actually a very good thing. Who knew? Then of course there’s E621, monosodium glutamate, used as a flavour enhancer (it produces the meaty flavour, umami). I feel sorry for poor old MSG, it gets a bad press. Blamed for everything from migraines to obesity to asthma (really this time). It’s been used for more than 100 years to season food, and is just the sodium salt of glutamic acid, one of the most abundant naturally-occurring amino acids. The MSG that’s added to food these days is mostly made by bacterial fermentation, not unlike yoghurt or vinegar. But glutamic acid turns up everywhere, or at least everywhere there’s protein, and therefore so do its salts. Lots of foods are naturally high in glutamate, including cheese, tomatoes, mushrooms and walnuts. It’s the same stuff, just with less sodium. So it’s safe to say that you can cheerfully ignore anyone who tells you that MSG is horribly bad for you, especially if they’re munching on a mushroom. Not to suggest that you should live off processed foods, of course, but you may do better to worry about the salt, sugar and fat content first. In fact a lot of synthetic chemicals make our lives easier. Where would we be without medicines for example? (Not to be too blunt, probably dead.) Without the concoction that is toothpaste, most of us wouldn’t have our own teeth. Without chlorine in water we’d probably have died of typhoid or cholera (people arguing against it usually conveniently forget about those two, which used to kill by the tens of thousands). Just have a look around at all the plastic you use, and imagine for a second what life would be like without it: no soft contact lenses, no mobile phones, computers or TVs, no waterproof jacket or shoes, no biros, no packaging to keep food fresh and protected, no nylon or other synthetic fabrics… the list goes on. So next time someone talks disparagingly about all those ‘chemicals’, ask them about all the ones they’re using right now. Or send them to Snopes. Or order that hermetically sealed, vacuum-pumped chamber. At least it’d be quiet. *Given that I earlier claimed to be factual, I should admit that I may have made some of those up. When I was a kid I was a bit of a tomboy. ‘Bit’ being the understatement of the century. I had short hair, lived in trousers and had a memorable (for me anyway, I’m sure they’ve long forgotten it) argument with my parents about getting a model Castle Grayskull. I lost the argument, but more because it was a frightful waste of money than for any other reason. I also remember owning a small mountain of Lego, several Sindy dolls (ok, they were a bit girly), a large collection of Garbage Pail Kids cards, an Etch a Sketch, numerous Rubik’s puzzles, a microscope, an electronics kit, and a chemistry set. I don’t recall ever being under the impression that any of those last three were ‘for boys’. Actually I don’t recall categorising many toys as for boys or girls. Ok, yes, the Sindy dolls were girly, but then boys had Action Man, so that balanced out. Everything else was fair game, wasn’t it? I don’t remember the toy section in most shops being split into boys and girls. I certainly don’t remember any areas that were awash with horrific sickly pink, and I swear the only place I ever heard hide or hair of a princess was in a Grimms’ fairy tale. It seems to be different now, and I’m at a loss to understand why. You would think that 30-odd years later, in the 21st century, there would be less gender discrimination, not more. Perhaps it’s down to the fact that every bit of stock is entered into a database now, and those databases have somehow managed to have ‘girls’ and ‘boys’ fields built into them, and so someone allocates toys to these categories, probably without a great deal of thought. Shops claim these categories make things ‘easier’ for shoppers, and perhaps it does, at least for online shoppers looking for inspiration for a present and not really knowing where to start. Boy or girl is one question most people can probably answer. But if so, it’s rather depressing that the result of modern technology is to perpetuate the idea that science isn’t for girls. Because this is what seems to have happened. Recently there have been a number of high profile cases of big-name stores allocating science toys as ‘for boys’. 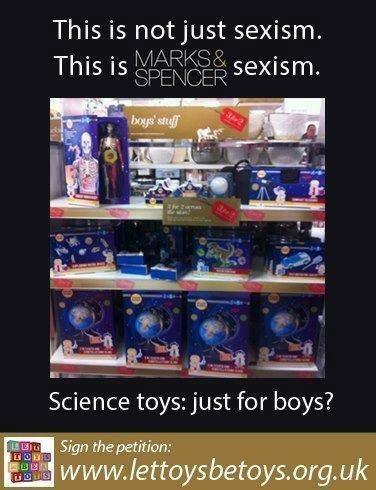 The first one I came across was Marks and Spencer: a photo doing the rounds on Facebook last Christmas, courtesy of the Let Toys Be Toys (LTBT) campaign, with the witty tagline “this is not just sexism, this is Marks & Spencer sexism” showing all the science toys labelled as “boys’ stuff”. Marks & Spencer, to their credit, responded quickly and changed their online catalogue. A quick look now suggests they’ve more or less stuck to this ideal, although they do still have a handful of branded toys labelled as ‘boys stuff’. We have yet to see what will happen next Christmas. I had been unaware of it before then, but it turns out that the London toy shop Hamleys had removed their blue “boys” and pink “girls” signs in the face of similar criticism some time previously. Skip forward a bit, and we come to Boots. Now this is particularly ironic, since Boots is (in case you hadn’t noticed) a pharmaceutical company. It was established in 1849 by John Boot, who used to help his mother – yes, a woman – run the family’s herbal medicine shop in Nottingham. You might think that such a company would be particularly keen to encourage women into the sciences, and especially chemistry. You know, given that chemistry is a required A-level for studying pharmacy at university. Say, at Nottingham University, down the road (where, incidentally, I completed my chemistry PhD). 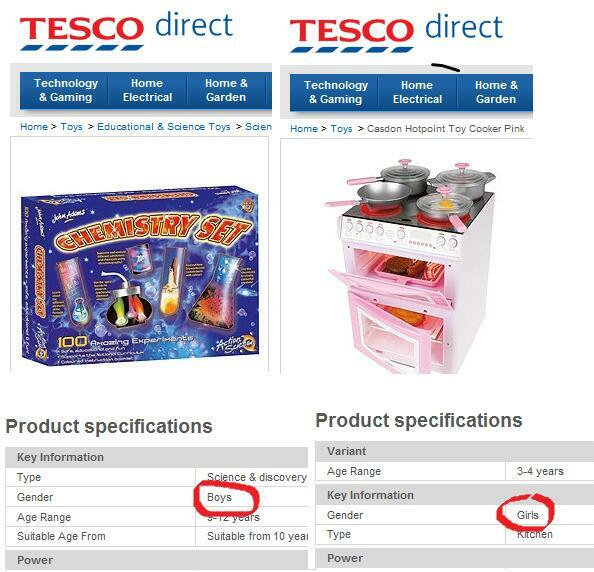 And yet, here we go again, all the science toys were labelled as being for boys while girls were doomed to pink princess tea sets. Ooops. There was activity on Twitter. The BBC television show Watchdog picked up the story. Customers started complaining. Boots issued a statement saying that they were terribly sorry that their efforts to ‘help’ shoppers (see what I mean?) had gone astray, and that they were removing the signage immediately. Suddenly the whole thing was picking up some serious momentum. You might think that the bigger stores at least would have taken a hasty look at their shelves and made some quick changes. Perhaps some did, but Tesco’s were a bit slow to catch on. Sarah Marr wrote a great open letter to Tesco on her blog, in which she pointed out that she had frivolously wasted time in gaining a PhD in theoretical physics when she should perhaps, if Tesco had their way, have spent a bit more time in the kitchen. 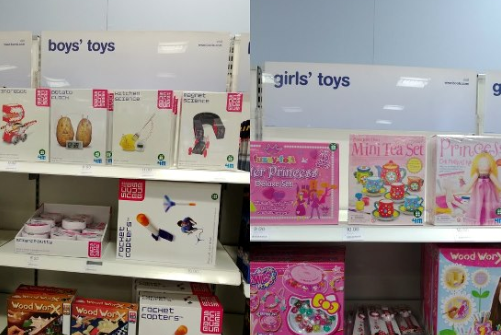 Initially Tesco were pretty unrepentant, claiming that toy signage reflected the way customers liked to shop (there we go again – I really would like to see the consumer research that all these retailers seem to be referring to). Then Watchdog picked it up, following on from last week’s Boots story, and suddenly they backed down completely and said it had all been a mistake. Funny how being broadcast to a few million viewers on BBC at 8pm can make a company change their minds isn’t it? Personally I find this one particularly galling, since I am a chemist myself, and definitely lacking a Y chromosome. The idea that chemistry is only for boys is ridiculous. And anyway, there’s a lot of chemistry in cooking. Just ask Heston Blumenthal. In fact, I wonder if he had a toy cookery set when he was a kid? Someone should ask him. Perhaps he could be persuaded to launch a ‘chemistry of cooking’ set, that would really confuse everyone wouldn’t it? Girls should, of course, be free to play with whatever toy they like, from cupcake set to chemistry set. Boys ought be able to choose a toy drill or a toy doll, or both. There is no need to label these things as ‘for boys’ or ‘for girls’, let children, and their parents, choose whichever toy they want. The real problem with these signs is that they subtly send the message that children shouldn’t be playing with certain toys, and that’s just wrong. The result of this effort to make things ‘easier’ for shoppers may actually be that they end up never looking at the science toys when they’re buying presents for their daughter, granddaughter or niece. Or they might, but then worry that a present won’t be well-received because it’s a ‘boys’ toy. Girls might simply never see those toys – after all why would they look at something that’s apparently not for them – and never develop any curiosity. And we all know how susceptible children can be to peer pressure. A girl playing with a ‘boys’ toy might be teased by her friends. What if that insidious little idea sticks? When she’s choosing her A-levels some years later, might she think “chemistry’s for boys” and not choose it, despite being more than able? How many potential scientists might we lose out on as a result? And make no mistake, we need good chemists. They will be at the forefront of sorting out the world’s environmental problems, coming up with new fuel strategies, designing new material solutions and working in medicine and pharmaceuticals. Besides which, chemistry generally has much better career prospects than princess-try. 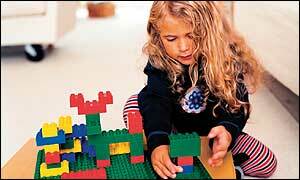 FInd out more about the Let Toys be Toys campaign here. ‘Tis the season for rhubarb. I know this because my Dad, who is a professional grower of green stuff, brought me some last week. Sadly I didn’t inherit his green thumb (and fingers, and probably toes) but I can knock up a half decent rhubarb crumble*, and I can make custard from scratch. Yes really, no packet or anything. Impressive eh? But anyway, Dad suggested we might grow rhubarb in our garden, since we have a shady, slightly soggy patch of ground near the house where, apparently, it might do well even with my appalling track record of plant abuse and neglect. (If there were a Royal Society for the Protection of Plants, trust me I’d be top of their most wanted list.) This led me to to some musings about safety, since we have both a cat and a small person in the house. I vaguely recalled that the leaves were poisonous, and Dad confirmed that this particular piece of information wasn’t merely a product of my fevered brain, but was in fact correct. “So what’s in rhubarb leaves then?” Asked Dad. “Erm, oxalic acid I think…” I said. And it occurred to me, before the inevitable “what’s that then?” question, that I didn’t actually know very much about oxalic acid. So being a motivated learner, I went and looked it up. The first thing that drew my eye was its fire diamond. That description conjures up images of impressive gemstones, but sadly it’s not quite that cool. Fire diamonds are those red, blue, yellow and white diamonds that you see on the side of big chemical containers. They’re useful because they summarise the key safety and hazard information at a glance, without anyone needing to mess about reading text on a warning label or having to find a knowledgable, if slightly hysterical, scientist to explain the dangers in the middle of a disaster. The first thing you need to know about these diamonds is that 0 is pretty safe, and 4 is very bad. As for the colours: blue is for health and basically covers toxicity, yellow is for reactivity (is it likely to explode or generally do something unpleasant and probably loud), red is predictably for flammability and white is for ‘special’. Special in this case meaning, ‘does something else nasty’. The 3 in the blue bit means oxalic acid is pretty toxic. Chlorine gas has a 3, as does pure ammonia. The official description is “short exposure could cause temporary incapacitation or possible residual injury”. Eeek. So is it time to put child-safe locks on your rhubarb patch? It’s probably not necessary. 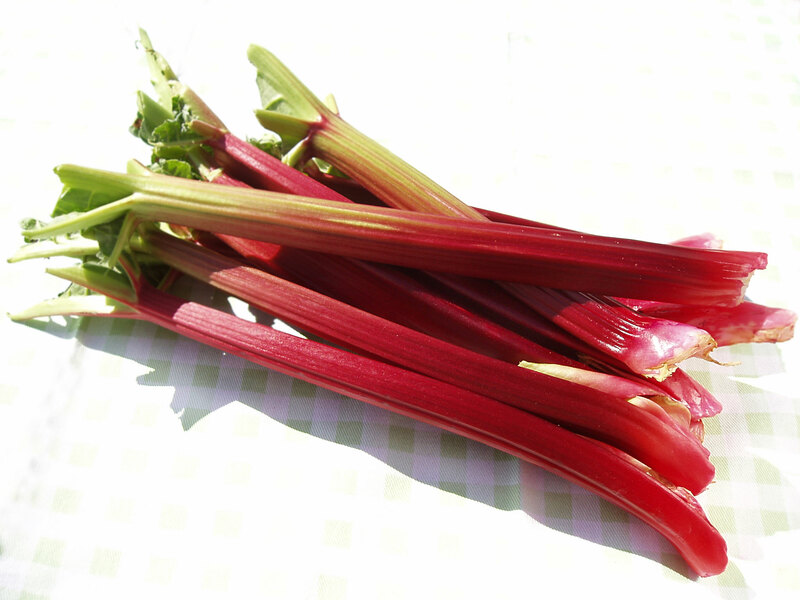 Rhubarb leaves have roughly 0.5% oxalic acid by weight. There are various lethal doses mentioned out there, but even the more conservative is about 0.6 g per kg of body weight. A small child, weighing say 10 kg, would need to consume about 6 g of oxalic acid, or about 1.2 kg of rhubarb leaves to receive a lethal dose. There are other harmful things in rhubarb leaves, of which more later, so they might be quite a bit more dangerous than this implies, but even a determined toddler probably isn’t going to much their way through enough of the pretty horrible-tasting leaves to give them more than a tummy ache. Still, I don’t recommend you leave them to experiment. There is, in fact, also a bit of oxalic acid in the petioles (the stalks), but not very much. Most of the acidity in the stalks is due to malic acid, which turns up all over the place (it’s one of those mysterious ‘fruit acids’ beloved of skincare product manufacturers) and is fairly harmless. Cooking helps to break it down what tiny bit of oxalic acid is present, but it’s such a small quantity that even if you ate nothing but raw rhubarb stalks it probably wouldn’t be dangerous. The occasional crumble certainly isn’t going to be a worry. And, I checked, a little bit of stewed rhubarb is safe for babies. Why is oxalic acid (in largish quantities) poisonous? It’s not because it’s an acid; as I’ve mentioned before, lots of things are acids and are pretty harmless. It turns out that oxalic acid is nephrotoxic, which means it damages your kidneys. Oxalic acid reacts with iron and calcium ions in the body to form crystals which are then excreted in urine. This is bad for two reasons, firstly it’s removing calcium and iron from the body, and they’re both quite important. Secondly calcium oxalate is the main component of kidney stones, which are at best agonisingly painful and at worst can cause a nasty infection if they block the urinary tract. It can also cause joint pain because similar precipitates form in the joints. Interestingly, ethylene glycol (used in antifreeze) will produce oxalic acid in the body if you drink it (not recommended), so can generate the same kinds of problems. which is why the word oxalate keeps cropping up. Oxalates turn up in lots of other foods as well as rhubarb, including parsley, spinach, and tea. They’re not harmful in the quantities usually eaten, and the plants invariably contain all kinds of other beneficial nutrients that more than make up for the presence of a bit of oxalate. 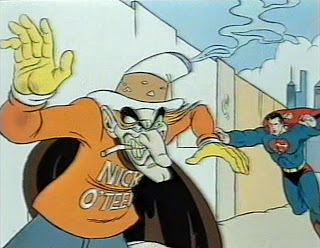 Still, best not to go all Popeye and try to live off spinach. During World War I rhubarb was briefly recommended as a vegetable, and this led to some deaths. This mistake might have been caused when the gardener of the Earl of Shrewsbury at Alton Towers (now home of the theme park) had a letter published in Gardeners Chronicle some decades before which said that rhubarb leaves had been used as a food there for many years. He apparently later wrote again to say he meant the stalks, and the correction was published, but by then the information was out there in print and perpetuated. These days it would be so much easier wouldn’t it? Someone could just write one of those “FORWARD THIS TO ALL YOUR FRIENDS NOW!!!!! !” emails and the information would be round the world in a flash. As I mentioned earlier it’s not just oxalic acid in rhubarb leaves that’s dangerous, although exactly why the leaves are so toxic doesn’t seem to be well understood. It might be anthraquinones, ring-shaped molecules used to make dyes and in paper-making. There is definitely more to the story than oxalic acid, because post mortems of some of deaths supposedly due to rhubarb leaves didn’t find lethal quantities of oxalic acid. It’s possible that some of these cases weren’t entirely due to the leaves themselves, but something on them such as a pesticide (bearing in mind that some quite scary things have been chucked around as pesticides in times gone by, with little if any controls). Rhubarb leaves have a large surface area and are slightly cone-shaped, and it’s not beyond the realms of possibility that something harmful could accumulate in them and then be eaten. As far as I can establish, no one has carried out a recent study on the toxicity of rhubarb leaves (if you know differently, please let me know!) so it’s difficult to be sure. So there we have it. Rhubarb leaves contain oxalic acid, and it’s toxic, so don’t eat them. 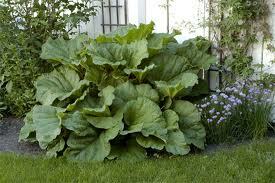 Your pets are likely to be safe since, as most gardeners will tell you, few animals will willingly eat rhubarb leaves. Children are also unlikely to try munching the huge green leaves, but it might be wise to keep an eye on them. The stalks, on the other hand, make delicious crumble. And look out for fire diamonds. And what do you know, I posted this and then caught up with today’s episode of Pointless, and oxalic acid was a pointless answer in the first round. What are the chances of that? I love Pointless. * Handy rhubarb hint: if you don’t want to use extra sugar, or should I say sucrose, add a chopped and peeled apple and banana to your rhubarb – it sweetens it up nicely. I’m not giving up my custard recipe. Sorry. It’s an innocent enough looking molecule, with a relatively simple molecular formula of C10H14N2. Just a handful of three of the most common elements, arranged in a couple of rings. How dangerous can it be? Pretty dangerous, as it turns out. And yet unlike some other hazardous substances, people deliberately expose themselves to this one on a daily basis. We could go all the way back to the evolution of the tobacco plant, nicotiana tabacum, or to the first native Americans to discover that its smoke had some interesting effects, but I’m not sure I can pin a date to those so, instead, let’s start with the famous Christopher Columbus, who was famously introduced to a plant whose smoke was called tobacco by the natives of Hispaniola in 1492 on his first voyage. It was a few years later, in 1559, that tobacco was introduced to Europe. Elizabeth I held the English throne and Henry II was the King of France (just – he died in 1559), but it was a relatively minor official who gave his name to the newly-discovered plant: Jean Nicot de Villemain, the French ambassador in Portugal, who obtained the seeds and leaves from Luis de Gois, a Portuguese colonist in São Paulo. Nicot bought the tobacco seeds and leaves to the French court and described them as a new wonder drug. Tobacco was touted as a miracle cure for everything from sexually transmitted diseases to flatulence, and went on to be used as snuff and, of course, smoked. In England and France, tobacco was seen as an elitist privilege and the story goes that Sir Walter Raleigh, arguably in the first ever case of peer pressure, even convinced Queen Elizabeth I to try smoking. Of course at first it wasn’t understood exactly what the substance was in the plant that had interesting effects on the body. Pure nicotine wasn’t isolated from the tobacco plant until 1828, by physician Wilhelm Heinrich Posselt and chemist Karl Ludwig Reimann of Germany, and they recognised it as a poison. So why does the tobacco plant produce a poisonous chemical? Quite simply the plant evolved it as a powerful defence mechanism. It’s deadly to insects and critters chewing on tobacco leaves soon bit the dust. Very helpful to plant which, being stuck in the ground, can’t run away or swat them. Which leads us to another use for nicotine: as an insecticide. After World War II thousands of tons of nicotine insecticide, made from waste from the tobacco industry, were being used worldwide. Alternatively consider this: one single drop of pure nicotine liquid, applied to the skin, would be just about enough to kill you (if you didn’t seek treatment, that is). That’s more poisonous than both arsenic and strychnine, and on a par with cyanide. It’s far more toxic than organophosphate pesticides. Ah organic fruit and veg, so good for you, and safe, and… er… produced with the help of one of the most deadly poisons known to man. Why is nicotine so dangerous? First of all it’s absorbed through the skin, which makes exposure frighteningly easy – no need to waste time with pesky things like breathing it in or swallowing it. Once in the body it acts as a nerve agent, and a speedy one: moving through the bloodstream to the brain in about 7 seconds. The nervous system is really quite an important thing, and nicotine messes with it big stylee. It binds to receptors in the brain and increases the levels of several neurotransmitters. At very low levels, like those from a single cigarette, the increased levels of dopamine cause feelings of relaxation and euphoria, which is one reason smokers like their cigarettes so much. It also likes to stick to acetylcholine receptors, and at toxic levels can cause muscle contractions (including irregular heartbeat) and respiratory paralysis (that’s exactly as bad as it sounds). Confusingly, it can act as both a stimulant and a relaxant at the same time, thanks the really quite astonishingly long list of chemical messengers it causes the brain to release into the body. Ultimately, in both mammals and insects, it kills by paralysis – screwing up the nervous system so much that everything simply shuts down. It’s important to remember at this point that nicotine is not the same as cigarettes, which are full of umpty-seven (a technical unit) of harmful substances, of which nicotine is but one. In particular nicotine, unlike cigarettes themselves, isn’t technically carcinogenic. It’s just a deadly nerve poison. Has anyone ever died from nicotine poisoning alone? Yes, definitely. In fact there’s one particular story that is also interesting for laying early foundations in forensic science. In Belgium in 1850 a pair of socialites, the Comte and Countess de Bocarmé, had become fond of living beyond their means. They were counting on a large inheritance when the Countess’ father died, but to their annoyance he left most of his money to his son, Gustave Fougnies who, some might say foolishly, made his own will leaving most of the the fortune to his sister. The Comte and Countess invited him to dinner and doused him with pure nicotine which the Comte, who fancied himself as a chemist, had distilled himself. They covered up the murder and believed they would get away with it because they were well aware that at that time there was no way to identify an alkaloid such as nicotine in a dead body. There have of course been many, many other cases of accidental nicotine poisoning, especially in children (one chewed and swallowed cigarette is enough to make a toddler severely ill) but fortunately the prognosis is good with prompt medical treatment so deaths are relatively unusual, although there have been one or two deliberate suicides. Obviously we could argue that nicotine kills hundreds of thousands of people every year. As any smoker will tell you, nicotine addiction is incredibly tough to kick. About one in six UK adults smoke, and 100,000 die in the UK each year due to smoking. Again, it’s the umpty-seven (there it is again) other chemicals that do most of the actual damage, but it’s the nicotine addiction keeps people coming back. Does it have a good side? Maybe, but the story is far from clear. Some studies suggest that nicotine exposure actually reduces the risk of certain diseases. It may have the potential to treat Alzheimer’s disease (although smoking is associated with an increased risk), an illness predicted to affect 1 in 85 people globally by 2050. It’s also been shown to delay the onset of Parkinson’s disease. It’s even been explored as an experimental treatment for OCD, but this of course raises questions about the sense of giving an addictive drug associated with a habit-forming behaviour to an obsessive compulsive patient. So there we are. 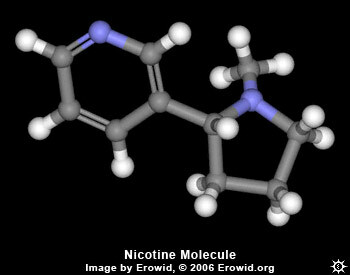 Nicotine, one of the first readily-available recreational drugs. Incredibly addictive. An insecticide and deadly poison. There at the birth of forensic chemistry. And now, maybe, a treatment for common neurodegenerative diseases. Certainly not one of the chemical good guys, but maybe not all bad either.